Richard J. Collins is a licensed Financial Advisor with GWN Securities, Inc., a Husband, and Dad of three kids. He graduated from Deer Creek High School in 1996 and the University of Central Oklahoma with a Bachelors in Business Administration in 2000. In addition to working with individuals, businesses, and retirees, Richard has extensive knowledge and experience in governmental retirement plans that his clients depend on to make their life decisions. He is the co-founder of the Oklahoma Educator Recruiting and Retention Plan which has been innovative in the areas of contract structuring, board policy, negotiations, and budgeting as it relates to qualified plans. 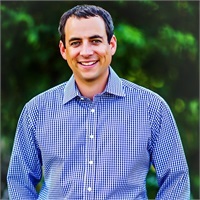 He founded Horizon Financial Services, Inc., in 2000, and embarked on a goal to provide individualized financial advice combined with the highest quality service to make the investing experience enjoyable and comfortable. Celebrating 15 years, their mission hasn't changed and remains simple; to build lasting relationships, built on core principles that strengthen with time. Richard J. Collins and Horizon Financial Services, Inc. look forward to using their expertise to help you pursue your financial goals.